You'll enjoy a bit of beach vacationing at Scarborough Beach and Warnbro Beach. For shopping fun, head to Fremantle Markets or Jadran Wines. 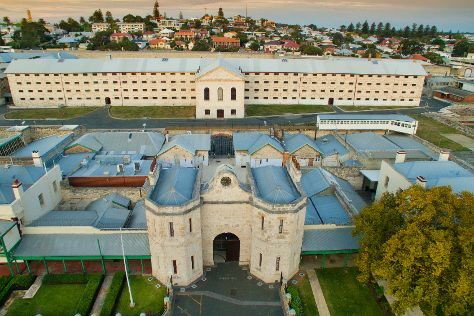 Explore the numerous day-trip ideas around Perth: Mandurah (Dolphin & Whale Watching & Emma Blyth Gallery), Pinnaroo Point Beach (in Hillarys) and Fremantle (Fremantle Prison, The Fremantle Round House, & more). Dedicate the 26th (Fri) to wine at some of the top wineries in the area. There's lots more to do: contemplate the waterfront views at Swan River, take in nature's colorful creations at Kings Park & Botanic Garden, take in the exciting artwork at Illusionary Art, and kick back and relax at Mullaloo Beach. To see photos, ratings, where to stay, and tourist information, use the Perth trip itinerary website . If you are flying in from South Africa, the closest major airport is Perth International Airport. In April, daytime highs in Perth are 31°C, while nighttime lows are 15°C. On the 27th (Sat), wrap the sightseeing up by early afternoon so you can travel back home.